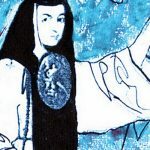 A sixteenth-century Mexican nun, Sor Juana Inés de la Cruz, has become one of the most rebellious and lasting icons in modern times, on par with Mahatma Gandhi, Ernesto “Che” Guevara, and Nelson Mandela. Referenced in ranchera, tejana, and hip-hop lyrics, and celebrated in popular art as a guerrillera with rifle and bullet belts, Sor Juana has become ubiquitous. 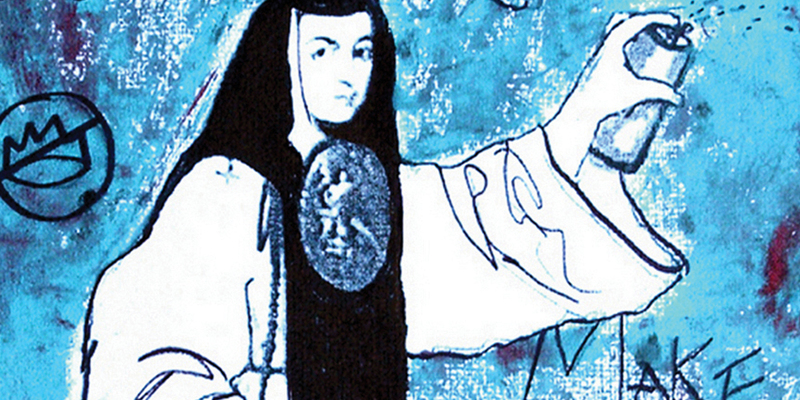 In anticipation of the release of his forthcoming book, Sor Juana: Or, the Persistence of Pop, we’re excited to share a brief excerpt from Ilan Stavans’ meditations on the legacy of this celebrated feminist icon. She shows up as a guerrillera, with rifle and bullet belts. Or replaces the screamer in Edvard Munch’s famous expressionist painting of 1910. She dances in heaven with Marc Chagall’s ethereal characters. Stands next to the Beatles and other added luminaries in Sgt. Pepper’s Lonely Hearts Club Band. Wears a shoulder tattoo. Is the protagonist of a telenovela. Or a 1993 opera. The target of countless homages by literati such as Gabriela Mistral, Amado Nervo, Xavier Villaurrutia, and José Lezama Lima. A play mounted by the Royal Shakespeare Company, staged in Stratford-upon-Avon in 2012. A Halloween cus­tom. And an animated TV series. Even more frequently, she is paid tribute to in ranchera, tejano, and hip-hop lyrics. Is on a stamp. And, between 1988 and 1992, on the $1,000 peso bill, which was pushed out by inflation, becoming the $200 peso note, also with her semblance. She is a doll. A piñata. Drops by in high heels. Is on T-shirts. On expensive watches. Chillin’ next to an open book. And, frequently, chatting on her iPhone. The conduits keep multiplying: statues, Lotería cards, key chains, recipe books, coffee mugs, Día de los Muertos costumes . . . Along with Ernesto “Che” Guevara and Evita Perón, she is ubiquitous. Even with the honorific “the Tenth Muse,” it would surely sur­prise her to come across the iconographic machine she has nur­tured. In the land of “bad hombres,” she is a rabble-rouser. A vocal one. Virginia Woolf once said: “The truth is, I often like women. I like their unconventionality. I like their completeness. 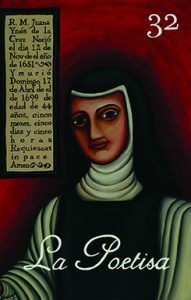 I like their ano­nymity.” The truth is, after her death nothing related to Sor Juana is anonymous. In poor health and besieged by the merciless campaign of intimidation her supe­riors were orchestrating, she drafted her uneasy lines meticulously, as if aware that she was signing her own death sentence. She was forty-three. Until a few months earlier, her star had shone bright and high. Time and again she had challenged the male-dominated intellectual milieu, emerging triumphant to the applause of one viceregal court after another. 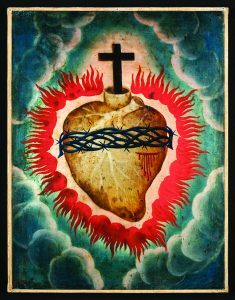 While she was occasionally confronted by a prioress, cautioned by her confessor against sacrilegious misconduct, and rep­rimanded by a representative of the archbishop of Mexico, Francisco Aguiar y Seijas, her position in the Convent of Santa Paula was secure. And her reputation as the premier Baroque poet in New Spain, as Mexico was known in the seventeenth century, reached far beyond—from Quito to Lima, from the Philippines to the Iberian Peninsula. But now, sequestered in her convent cell, she was alone and lonely. As she drafted her response, dated March 1, 1691, she knew her fate was no longer in her hands. The delicate balance that she had successfully maintained most of her adult life had finally col­lapsed. Envy and resentment surrounded her. So she made sure her double message was unclouded. She confessed her “insignificance” as a woman, her “vile nature,” her “unworthiness.” She did so mainly because she wished “no quarrel with the Holy Office, for I am igno­rant, and I tremble that I may express some proposition that will cause offense or twist the true meaning of some scripture.” However, she seized the occasion to denounce openly the repressive, misog­ynistic atmosphere that surrounded her and the criticism that had targeted her as a poet. While she wrote it as a private letter, she had reason to believe it would become a civic affront, and so she let herself go. 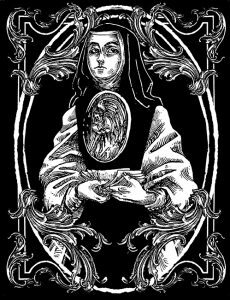 Sick, anxious, persecuted by visible ghosts, Sor Juana allowed herself un último gri­to—a final scream, a shriek of desperation—promising afterward to lose herself forever in the passive piety forced by the Catholic Church on scores of anonymous nuns. Ilan Stavans at his Amherst home. 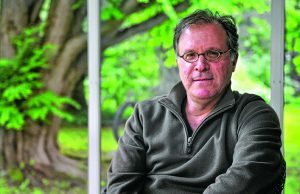 Ilan Stavans is the Lewis-Sebring Professor of Humanities and Latin ­American and Latino Culture at Amherst College. An internationally renowned, award-­winning essayist and translator and the recipient of many honors, his recent books include Quixote, Borges, the Jew, and I Love My Selfie.